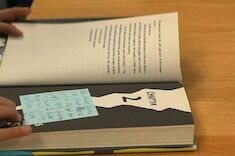 Fifth-grader Orion uses sticky notes to make questions and predictions at the end of each chapter. Tre uses lots of sticky notes to sort through and keep track of characters in a book with a whole classroom full of personalities. 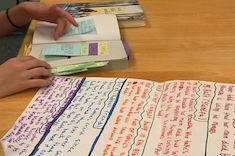 What do student notes from independent reading look like when students have free choice? 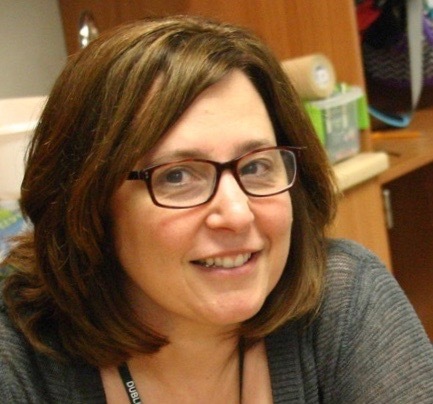 In this video series, fifth graders from Franki Sibberson's class explain their notetaking strategies. We start with Ally, who tries out two different strategies to figure out which one will help her the most. We continue our video series from Franki Sibberson's class of fifth graders explaining how they take notes while reading. 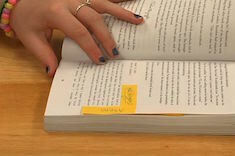 Sarah marks important elements early in the mystery she is reading, so she can easily refer to them later.